She’s getting ready to turn 10. It’s a milestone and those don’t come around as often as when they’re little. No more first steps or first words to celebrate. Now the milestones slip by almost unnoticed. Like when I saw her not be annoyed by the little kid but she took the time to play with her. She showed patience and took joy in having someone look up to her. My heart sang. Like when she prioritized her homework and violin practice for the week without being reminded (harangued) I could see the responsible young woman she’s becoming. My heart swelled with pride. Raising daughters isn’t easy. That said, raising my gifted daughter has been the greatest challenge and greatest joy of my life. 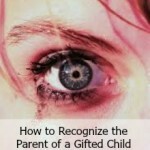 Gifted is just a label. It defines you no more than your eye color does. In the grand scheme of life no one cares about it. It’s what you do and how you treat others that matters. That gifted label does mean you’ve got potential. Oodles of potential. It doesn’t guarantee anything. So dream BIG. All that potential means you’ve got the stuff to achieve just about anything you want. But only you can realize that potential. I can help you. But the work is hard and you’re the one that has to do it. Dream BIG – the hard work is worth it. Grades matter – and they don’t. Sorry, life is full of gray areas and ambiguities. Start getting used to it. Grades and test scores are a way of demonstrating what you know. To get where you want to be, wherever that is, you’ll have to show you have the right to be there. Keep the long game in mind and that may mean working for good grades. Or not. Age doesn’t matter. I know you don’t remember the meltdown you had at age 4 when you discovered that the Monopoly game was for ages 8 and up and that meant you had to stop playing. Such a literal little girl! Age didn’t matter then. It didn’t matter when you skipped a grade. It didn’t matter when you were the youngest in the robotics class. It won’t matter until you want to drive, vote, or have a drink. Until then, forget it. Friends are important. Make friends with people who fill you with energy and happiness. Spend time with people who challenge you and encourage you to be your best self. Don’t worry about popularity or who’s in the “in” crowd. Popularity doesn’t last, I promise it doesn’t. Good friends are forever. Be kind. You can always be kind. Even when you don’t want to be (it’s ok, we all feel that way sometimes) just take a deep breath and choose kindness. It’ll pay off in ways you’ll never begin to imagine and you’ll feel better about yourself and the world. Trust me. Being smart is cool. Seriously, it is so freaking awesome. Don’t let anyone tell you differently or try and make you believe it’s not. If they do, they’re the ones with the problem. Walk away and don’t look back. They’re not worth your time. 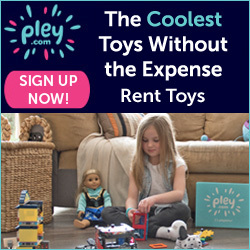 Know what else is cool? Confidence. I see it on your face more and more often as you grow up. It makes you more beautiful than you can imagine. Confidence + smarts + kindness = an unbeatable combination. Work it. Whatever is troubling you probably happened to someone else before. It’s probably happened to me. Maybe your dad. Or your aunt or grandma. Don’t keep it inside, we can and want to help. All burdens become lighter when shared. You have no bigger supporter than me, except maybe your dad. I’ve fought for you your entire life and will continue to do so – but only when I really need to. That may mean convincing the school librarian that you can check out books beyond your age range (see #4 above) or it may mean that I fight you on screen time.The goal is to teach you how to stand up and advocate for yourself. I want you to find your own voice so you can unabashedly follow your dreams. Your BIG dreams. Doesn’t matter if you graduate from Harvard or flunk out of high school. I love you. Doesn’t matter what your dress size is, what color your hair is or what you have pierced. I love you. Doesn’t matter what you become or what you do. I love you. To paraphrase the great Snape – Always. 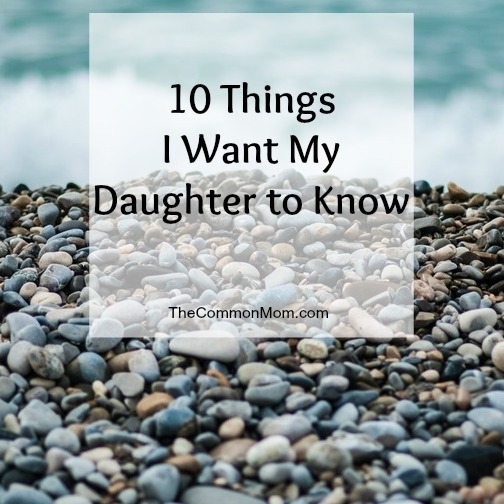 What things do you want to share with your daughter – or son – as they enter the tween years? Share in the comments or let us know on Facebook! This is beautiful. I am moved to tears. Will share with my children. Thank you! Cant wait to teach mu “gifted” daughter these things. Brought me to tears reading it! I had a friend send me your way tonight, and I can’t tell you how much better my heart feels after reading through you blog. Your daughter is almost exactly the age of mine, and I know they’d be best of friends. We are struggling so mightily with her. She’s terribly lonely and kids think that she’s weird because she’s memorizing the periodic table, wants to talk about the role that Dobby played in the HP books, or thinks that talking about how scabs form and how that mysterious electrical impulse that our heart relies on is formed. It’s so hard. She’s so, so , so smart. And she is SO SO SO SO kind. Tenderhearted is really not even close to the right adjective for her. She never has a mean word to say to anyone and doesn’t understand why people call her names, when she’s just being HER! 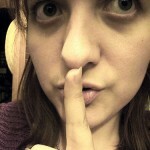 Thank you for writing this blog! I’ve been feeling so alone (not unlike she has! ), and it’s just amazing to know there is someone else out there who gets it. Thank you so much for dropping by – and thank your friend for me. Looking forward to the conversations. Thank you for this post. 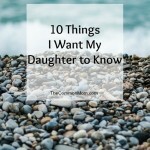 These are things I have been wanting to share with my daughters. Thank you for sharing your thoughts with us. Thank you so much for your post. She will be in 10 in May. These are all things I’ve been telling her over and over, but to see it so precisely written by someone else helps reinforce that we are not the only ones going through these daily experiences. I’m still wiping tears away as I write this. “Meltdowns” mean something different to us – they are intense and passionate and may last a moment or a day. Friends are hard to hold on to because she doesn’t want to always sit and talk about her book of choice or the technical aspects of the weather balloon launch. Sometimes she just wants to dig in the mud to discover the hidden treasures to later investigate under the microscope (or not). 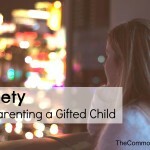 She is quirky and the other kids (and teachers and family members and…..) don’t always get it. It is difficult, but I see that confidence growing and am reminded every day (good or bad) what an amazing person she is. Seeing them blossom (I know that sounds trite) is the best part of this age! Thank you, thank you! My daughter is six and you gave me glimpse into my future!! 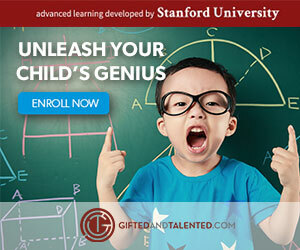 I am a teacher of the gifted in a small rural area. I’m going to share this with all my kids on Monday – all grades. The high schoolers need to hear this, too! Well written piece – thanks for sharing! First, thank you for what you do especially in a rural setting. Having recently moved to a more rural area I know that sometimes the gifted teacher is what keeps these kids sane. So, please by all means share! May I please share this with the parents of my gifted students so that they can share it with the kids? This touched me at so many levels – mom, grandma, and teacher. I would be honored to have you share it with others – thank you! This touched my heart and it is exactly how I feel about my daughter. Thank you so much for sharing. I’m so happy this resonated with you! Thank you for sharing such important thoughts and feelings. I love it. Thank you! Love that it resonated with you! Thank you. Thank you. Thank you sincerely for posting this! My daughter is also gifted and almost 10! How awesome is that!? These are all amazing things that I intend to share with her. I’m so glad I stumbled upon your blog! Isn’t 10 a great age?? 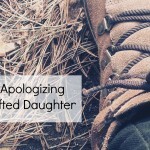 Happy you like and hope it sparks some meaningful conversation with your daughter. I’m glad you stumbled upon here, too! Thanks – I’m sure I’m forgetting some things but it’s a start! This is so touching and beautifully-written. Thanks for sharing it! Hi! New reader from the Learn to Blog FB page. This is absolutely beautiful and I plan on sharing it on my blog’s FB page. LOVE it! 11. Always have limits and safe guards when dealing with boy friends, don’t fool your self by believing,” I can take care of my self”. Basic primitive emotions can capture and over ride the most brilliant mind and spin your future into areas you may later regret. You maybe gifted, but you must work at being wise.